Wi-Fi standards change every few years. A new standard usually means better wireless networking. It also usually means that some new letters will appear on your router and smartphone packaging. The Wi-Fi Alliance does like to keep us on our toes, though. Instead of just following the IEEE’s 802.11 naming system, the organization is introducing its own simplified naming scheme. So, what is the new Wi-Fi Alliance wireless networking naming scheme? Moreover, what is Wi-Fi 6? Wi-Fi 6 is the latest update to the wireless networking standard. 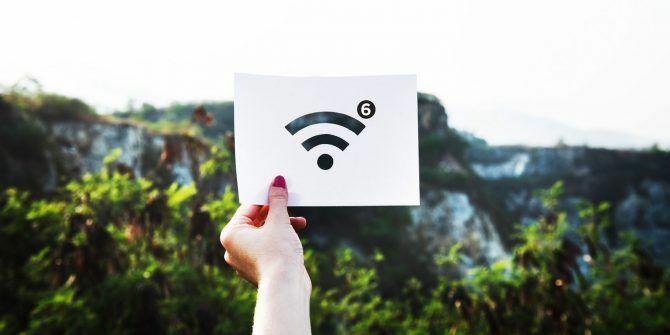 Wi-Fi 6 is based on the IEEE 802.11ax standard and will be faster, have more capacity, and improved power efficiency over its predecessor 802.11ac (now also known as Wi-Fi 5—read on to find out more!). But, hold on, wasn’t the previous wireless standard called 802.11ac? Yes, it absolutely was. However, the Wi-Fi Alliance believe—quite rightly—that updating two letters doesn’t give consumers much to go on. Given the differences between each standard, consumers can be forgiven for not understanding how 802.11n differs from 802.11ac in anything but the alphabet. The new naming system will run concurrently with the current system. The 802.11 naming convention will continue. But manufacturers have the opportunity to display both naming standards on their products, theoretically making the process of buying a new device with better connectivity easier. How Is Wi-Fi 6 Better? As usual, the newest wireless standard offers faster data transfer rates. Remember, Wi-Fi 6 is another name for the IEEE 802.11ax specification. The 802.11ax specification offers theoretical network speeds of up to 10Gbps, and 12Gbps at the extreme of the wireless broadcast frequency and over very short distances. That’s about a 30-40 percent improvement over 802.11ac, aka Wi-Fi 5. 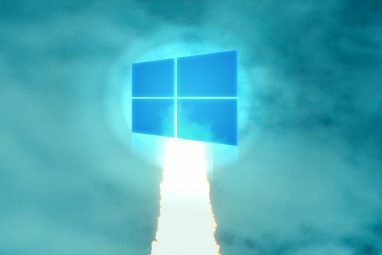 It also brings a few other notable improvements to wireless networking. 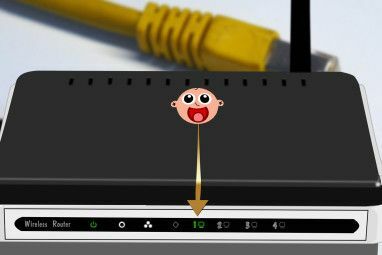 For instance, many new routers now use MU-MIMO to provide constant data streams Why Your Next Wi-Fi Router Must Have MU-MIMO Why Your Next Wi-Fi Router Must Have MU-MIMO Looking for a new router? Give your home network a boost with MU-MIMO, a new Wi-Fi technology. But what is MU-MIMO, and will it increase your wireless performance? Let's find out. Read More to multiple users. MU-MIMO technology hit the market during the current Wi-Fi 5/802.11ac period. Accordingly, it features largely on high-end routers, though this is starting to change. The advent of Wi-Fi 6 will see the technology included in almost all new routers, as the new standard allows multi-directional MU-MIMO, i.e. available in both uplink and downlink concurrently. Another key Wi-Fi 6 feature is Orthogonal Frequency Division Multiple Access (OFDMA). OFDMA makes better use of the available transmission frequencies of 2.4GHz and 5GHz. The update theoretically increases speed by dividing the available spectrum into smaller units. The resulting smaller units increase throughput and network efficiency. Currently, your dual-band router broadcasts on the 2.4GHz and 5GHz spectrums. Within those spectrums are allocations in sets of 20MHz-wide channels. These 20MHz channels group together into 160MHz blocks. All devices broadcast on one of the blocks within the spectrum allocation. When multiple devices are using the same channel on the same spectrum in a confined area, you end up with network congestion. Wi-Fi 6 alters the division of the 20MHz channels. The new standard subdivides the channels into 256 individual sub-channels. This is a massive increase on the current 64 channels. But it’s not only an increase in channels. Wi-Fi 6/802.11ax also modifies data connections within those sub-channels, too. Previously, all sub-channels were used in parallel to communicate with a connected device, meaning a single device could monopolize the channel until handed to another device. Wi-Fi 6 allocates the new additional sub-channels as resource units (RUs). The resource units can then be used to talk simultaneously with several 802.11ax devices. Up to nine devices can then communicate effectively on a single channel—or 74 devices over a 160MHz block. Another major change to the Wi-Fi 6 standard is an update to the current 802.11ac’s 256 Quadrature Amplitude Modulation (QAM). Wi-Fi 6 jumps to 1024 QAM, allowing broadcasts on up to eight simultaneous streams. When Can You Buy a Wi-Fi 6 Router or Wireless Device? A few Wi-Fi 6/802.11ax routers are already starting to creep onto the market. Some routers, like Asus’ TR-AX88U, are marketed as “being ready for next-gen 802.11ax devices,” though results are difficult to gauge. It does use the IEEE router standard of AX6000, meaning it adheres to the latest and greatest wireless specifications. There are very few routers using the AX11000 specification. TP-Link’s high-end Archer router branding will feature an AX11000 router. D-Link is set to release the AX11000 Ultra Wi-Fi router, while Asus ROG gaming hardware brand will hit the market with the Rapture GT-AX11000. Should You Upgrade to Wi-Fi 6? Until the technology is more widely used, the answer is no. As you can see above, there are very few devices on the market that support Wi-Fi 6. There is also the chance that the specifications will change, albeit those changes will be minimal tweaks for performance. The groundwork of the specification is complete. It is a tricky time to buy a new router, too. The advent of Wi-Fi 6 arrives alongside the imminent dawning of WPA3, the new wireless security protocol. Widespread adoption of WPA3 isn’t expected until the latter stages of 2019. With that in mind, it is worth checking if the router you’re about to buy can receive a firmware update to the more secure WPA3 standard. With Wi-Fi 6, the biggest networking gains will come when every device is compliant. Rushing out to grab a new Wi-Fi 6 router isn’t entirely necessary at this point. However, if you are in the market for a new router, you should check out the MakeUseOf guide to the best routers for every budget The Best Modem/Router Combo for Every Budget The Best Modem/Router Combo for Every Budget Buying the best modem, router, or modem/router combo is hard. 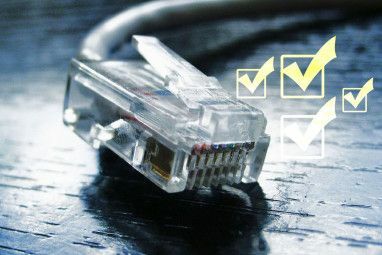 Our curated list of networking gear cuts through the jargon. Read More . Explore more about: Computer Networks, Wi-Fi, Wireless Security.